Posted April 10, 2019 by Seán Kinane & filed under Environment, News and Public Affairs. UPDATE: Thursday April 11, 2019: The U.S. Senate confirmed former oil and gas lobbyist David Bernhardt as the secretary of the Interior Department. Environmentalists are concerned that oil and gas drilling off Florida could become a reality if a new Interior Department Secretary is confirmed by the Senate as soon as this week. 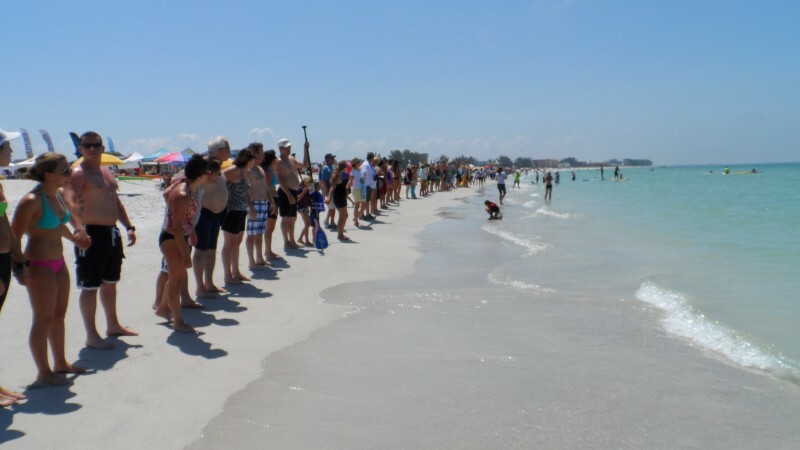 The moratorium on oil and gas drilling off Florida’s coasts will expire in 2022; most Florida elected officials in Congress and in the State Legislature want to extend that drilling ban. 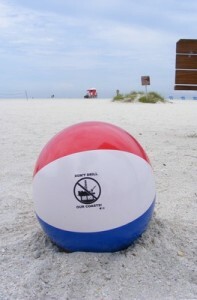 WMNF interviewed Sarah Gledhill, senior Florida field campaigner for the Center for Biological Diversity. But all of that could be in danger because the oil industry seems to be convinced that it’s going to put forward a plan to drill in the Eastern Gulf of Mexico. What do we know about that plan and where it stands? “We’re waiting — any moment — when the acting Secretary of the Interior Department is confirmed by [the Senate] we expect the plan to be announced. “We are not sure what will be in the plan. If you speak to the oil industry, they believe that they’ve come up with great compromise and concessions that will protect Florida while also producing oil and advancing [President Donald] Trump’s aggressive energy agenda. If a plan is released to allow oil and gas drilling off Florida’s coasts there will be a comment period for the public to weigh in. 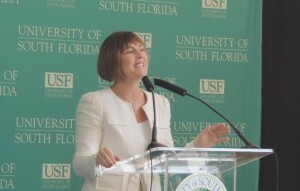 Kathy Castor at USF. Seán Kinane/WMNF News (2015). Politico reported Wednesday that President Trump could pay a political price in Florida if the drilling plan goes forward.